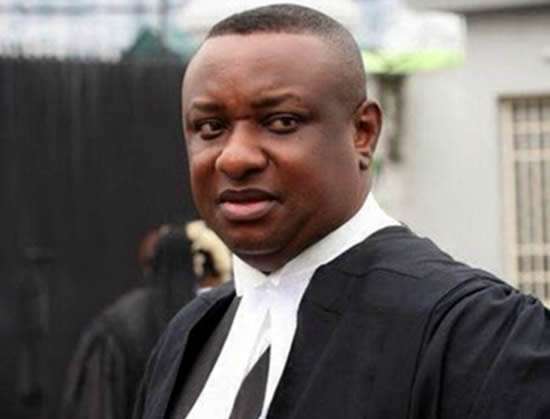 Festus Keyamo, a Senior Advocate of Nigeria (SAN), says a presidential or governorship candidate does not need to have the West African Examinations Council (WAEC) certificate to contest an elective position. 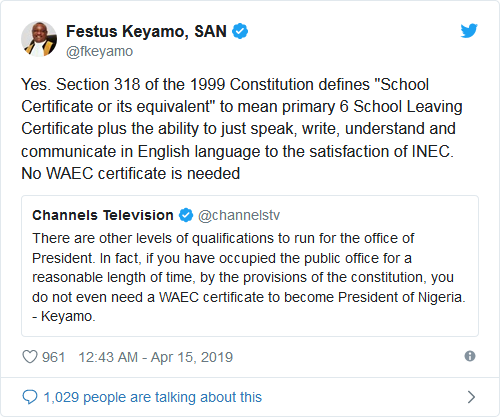 Keyamo, who was the spokesman of the APC presidential campaign, said what is required is Primary 6 School Leaving Certificate. Several politicians have been caught in certificate scandal including Senator Ademola Adeleke, governorship candidate of PDP in Osun state.. 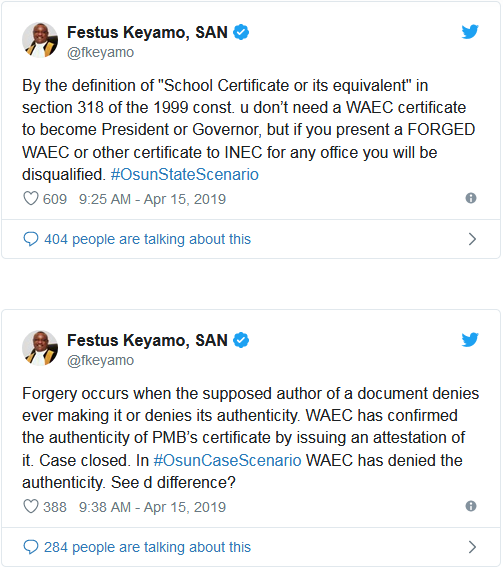 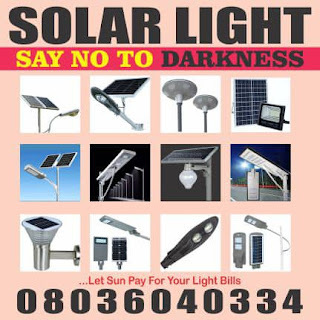 There is also controversy involving President Muhammadu Buhari WAEC certificate. 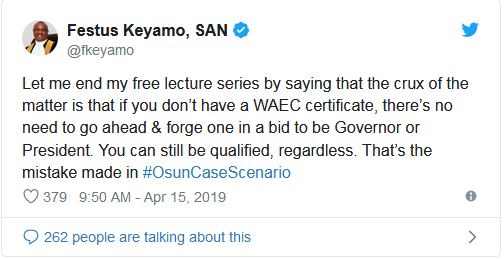 Keyamo was reacting to the certificate scandal of Ademola Adeleke, governorship candidate of PDP in Osun state.